Brief Description: The Avira Phantom VPN Service performs a handful of checks when it checks for an update (this happens when the service starts, so on boot or via manual start/stopping). When updating, the VPN service downloads the update to “C:\Windows\Temp\” as AviraVPNInstaller.exe (which any user can write to). It then checks if the file is signed, and if the version is less than the installed product version. If these requirements are met, the service will run the update binary as SYSTEM. It is possible to overwrite “AviraVPNInstaller.exe” with a signed, valid Avira executable (with a version greater than the installed version) that looks for various DLLs in the current directory. 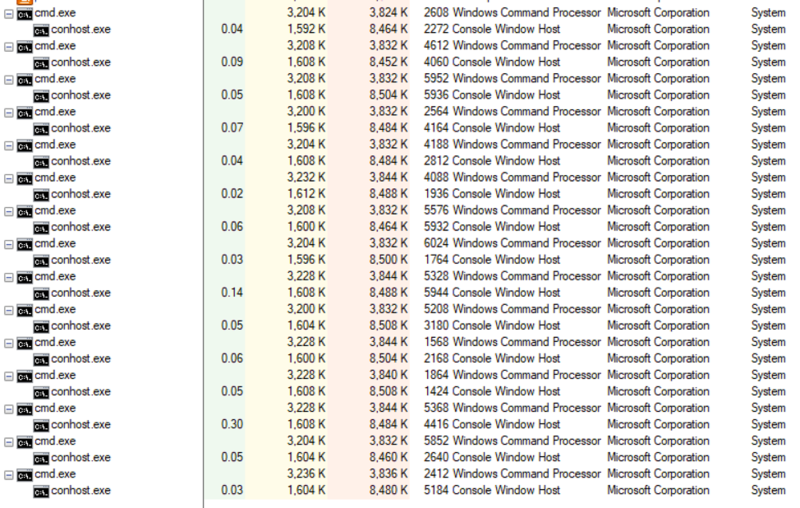 Due to the search order, it is possible to plant a DLL in “C:\Windows\Temp” and elevate to NT AUTHORITY\SYSTEM. 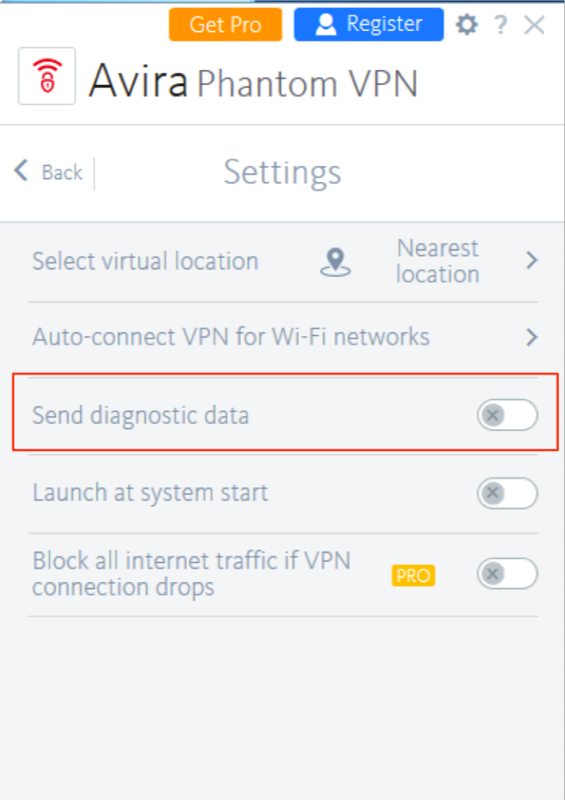 If the file is indeed valid and signed by Avira, the VPN service will start the “update” package. Since all of this happens in a place a low privilege user can write to, it is possible to hijack the update package and perform DLL sideloading. The version number of “AviraVPNInstaller.exe” proves the update hasn’t been installed on the system. This means we need to abuse an Avira signed file that has a version greater than what is deployed. 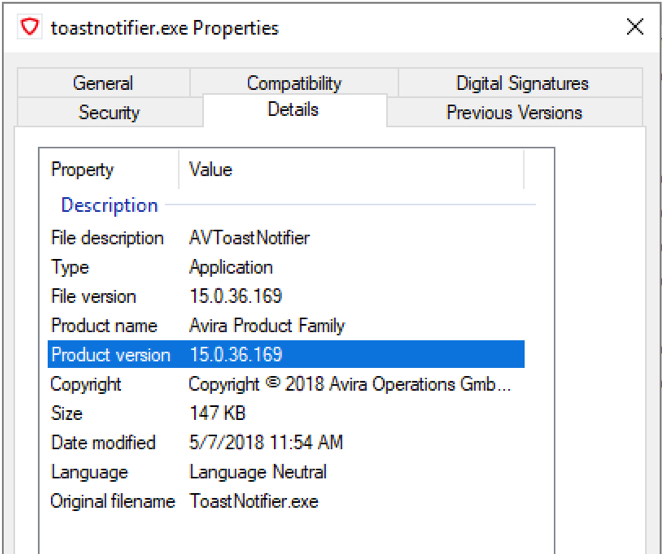 (If you are curious of where ToastNotifier.exe came from, it is from the Avira Antivirus product suite that was abused in a similar manner in a bug reported on the Antivirus platform). 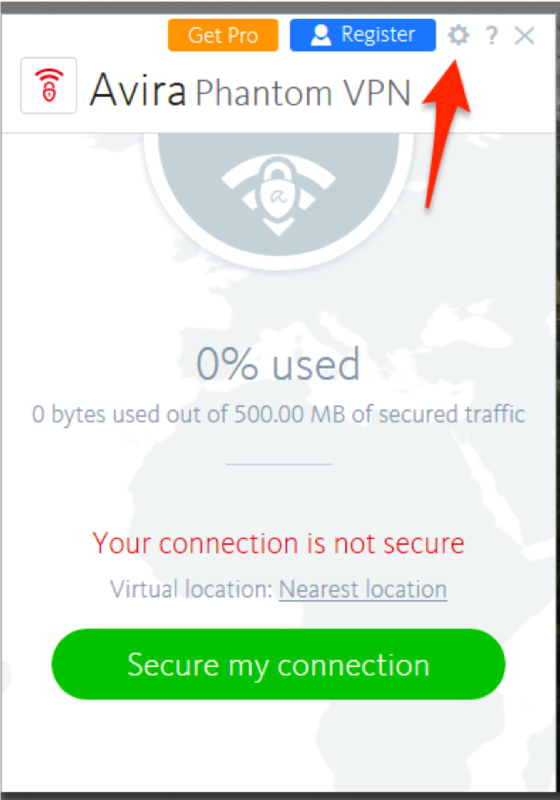 Brief Description: The Avira Phantom VPN service changes the DACL on “C:\ProgramData\Avira\VPN\VpnSharedSettings.backup” and “C:\ProgramData\Avira\VPN\VpnSharedSettings.config” when a configuration change is made in the VPN settings menu. By setting a hardlink on “C:\ProgramData\Avira\VPN\VpnSharedSettings.backup”, it is possible to overwrite the DACL on an arbitrary file, leading to elevation from a low privileged user to SYSTEM. 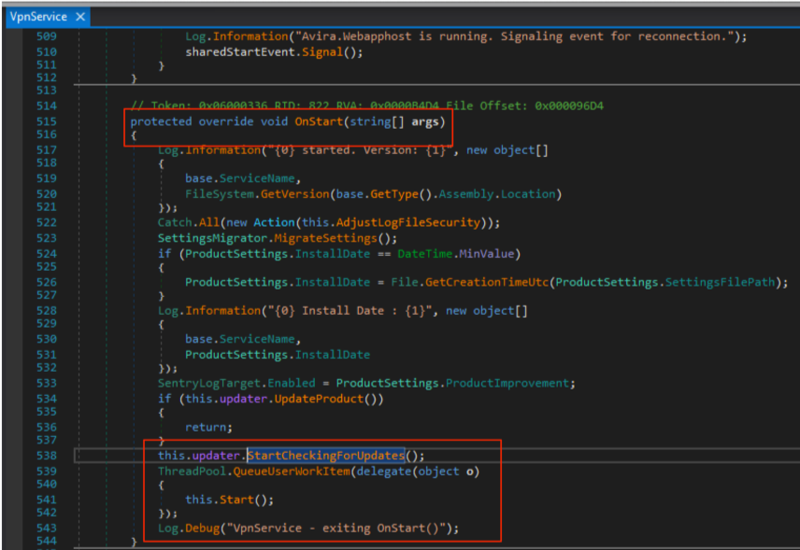 If the configuration file doesn’t exist, the service will create it and continue. If it does, it simply continues to the “StorageSecurity.AdjustSecurity()” function. In the case of the shared vs private configuration profiles, the “StorageType” being passed is either “AllUserAccess” or “Secure”. 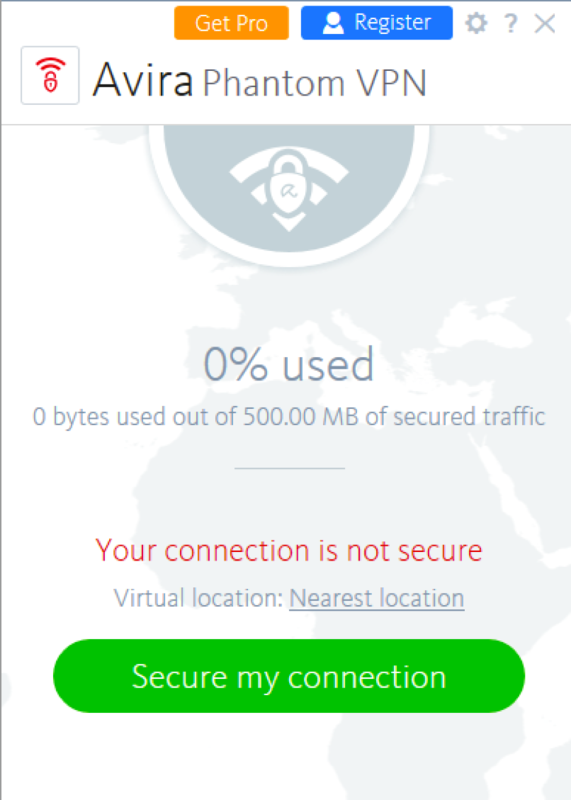 The “private” VPN profile is assigned the “Secure” storage type while the shared profile is assigned “AllUserAccess”. This is dangerous because the “SetAccessControll()” call changes the DACL on a file in which a low privileged user can control. So, how do we exploit this? First, an attacker needs to create a hardlink on “C:\ProgramData\Avira\VPN\VpnSharedSettings.backup” and point it at a file. In this case, we will point it at “C:\Program Files (x86)\Avira\VPN\OpenVPN\phantomvpn.exe”. Doing so will overwrite the DACL on “C:\Program Files (x86)\Avira\VPN\OpenVPN\phantomvpn.exe”.